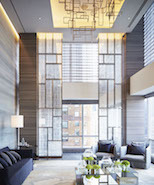 US Open | Park Hyatt New York First Week Packages | Tennis Tour Packages - Steve Furgal's International Tennis Tours ~ Experience a Tennis Trip of a Lifetime! The first week of the US Open will allow you to see a tremendous amount of tennis where matches are scheduled throughout the day on every single court. A true tennis enthusiast enjoys the first week of the tournament where tennis is abundant and the cost is less; as the tickets get more expensive as the tournament progresses. Never fear a rain delay again- Arthur Ashe Stadium now has a fully retractable roof as of 2016 as does Louis Armstrong Stadium as of 2018. Please note all Louis Armstrong Stadium seats are courtside. All packages may be customized! Located in the heart of Midtown Manhattan on West 57th Street, the Park Hyatt New York is situated directly across the street from the world- famous Carnegie Hall and located only one block from Central Park. 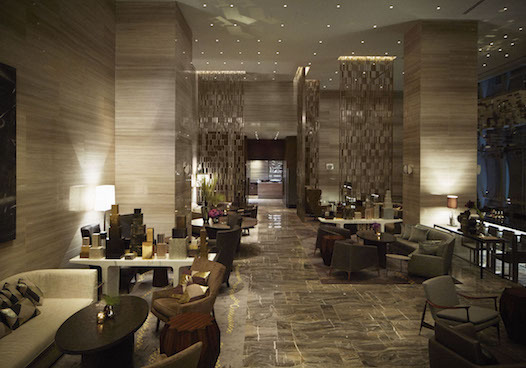 Designed by world-renowned, Pritzker Prize-winning architect Christian de Portzamparc, the hotel exudes modern luxury. From its urbane spaces to generously oversized rooms with designer decor and curated art, luxury furnishings are combined with high-tech amenities to make your experience unforgettable. Make the most of your stay and indulge in a relaxing spa treatment at the Spa Nalai where you can fully unwind and rejuvenate. End your day-or start your evening- with champagne or cocktails at The Living Room, and follow it with a lavish meal at The Back Room, the hotel’s sophisticated, American inspired restaurant.